High Rise Height-Adjustable Laptop Stand offers a simple solution to the common problem of too much sitting. Standing while working on your laptop or tablet becomes a breeze with this simple design and sturdy wood and steel construction. Scratch-resistant, PVC-coated worksurface measures 23-3/4" wide x 15-1/4" deep. That large size allows the space to work comfortably and accommodate a mouse, cup or up to a 4" x 6" notepad. It is also equipped with a 3-1/4" storage cup that is convenient for pens, pencils, smartphones or even beverages. 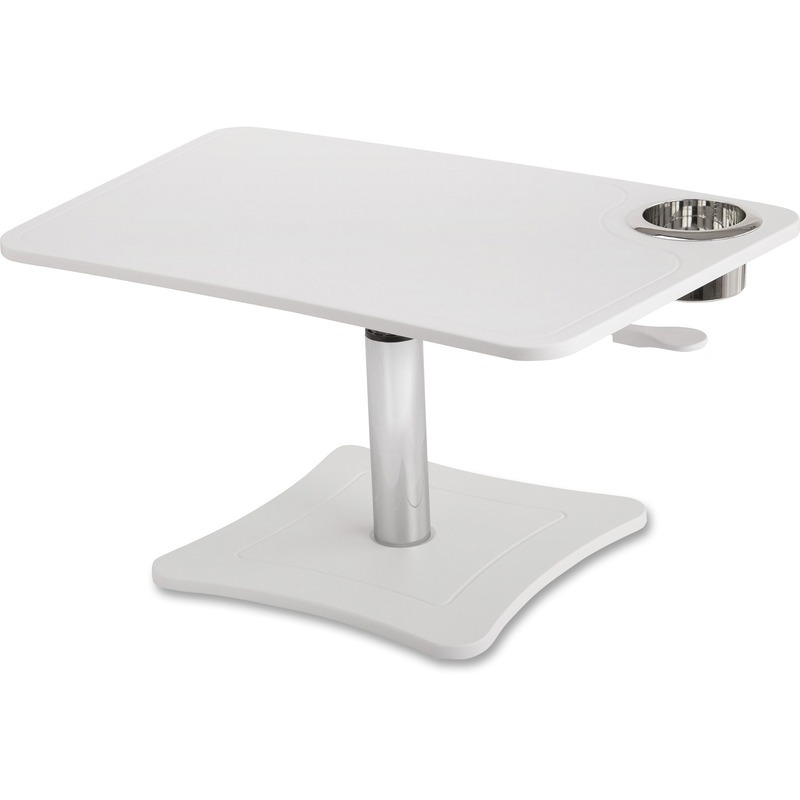 Laptop stand adjusts in height from 12" to 15" and is simply controlled by a lever. Weight capacity is 40 lb. centered.